Got any old gumboots lying around? 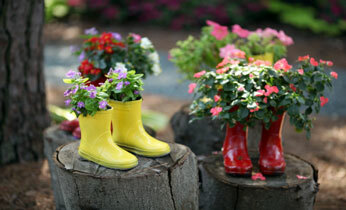 Instead of tossing them in the rubbish, transform them into perfect little pots by growing flowers and herbs in them. A gumboot garden is a brilliant lesson in planting and potting, and a chance to show the kids how creative recycling can produce something quite beautiful and unique. Say goodbye to boring terracotta pots and hello to an original display of fabulous flora! 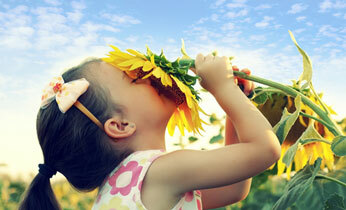 Nothing says ‘Spring’ like a vibrant yellow sunflower. So, welcome back the warmer months of the year by cultivating sunflower seeds and watching them grow into delightful golden sunflowers. These fast growing plants will captivate kids of all ages and make your garden sing with colour. 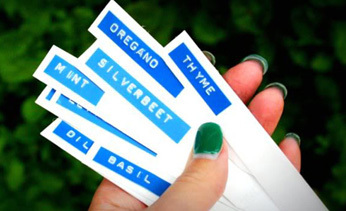 Never be confused about what you’ve planted again, with these funky retro garden markers. The perfect accessory for any veggie patch or floral oasis, these tags are made from recycled plastic and are waterproof and snail proof! 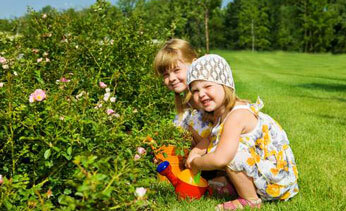 As an extra bonus, the kids get a free spelling lesson as part of this spring-tastic gardening activity. Making watercress egg heads is the ideal gardening activity for kids with a serious case of spring fever. Simply plant the watercress seeds as instructed, decorate the egg shell with googly eyes and coloured markers, and then sit back and watch the sprouts come to life. Who knew growing green hair could be so exciting! For the ultimate in environmentally friendly gardening, teach the kids how to make biodegradable planter pots out of newspaper and twine. With this clever idea, you’ll never have to re-pot any plant, ever again. Once the seeds have sprouted just plant the whole thing, pot and all, into the ground and wait for your garden to flourish. Creating a mystical and magical fairy garden is a fool-proof way to turn toddlers and preschoolers into little green thumbs. Their little faces will light up with joy as they go in search of trinkets and treasures to adorn their fairy garden – and remember anything goes; the more pebbles, shells and paddle-pop-stick houses, the better! 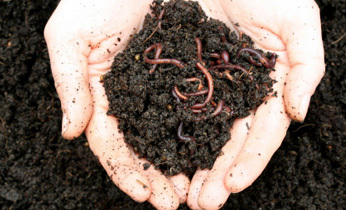 Worm farms provide endless hours of fascinating fun for kids, big and small. Not only will this activity teach kids how to look after some of nature’s busiest little grubs, but it will also open their eyes to the wonders of science, as they watch the worms turn soil into nutrient-rich fertiliser for all the springtime seeds they have just planted!